The current iPod nano is the sixth generation model. 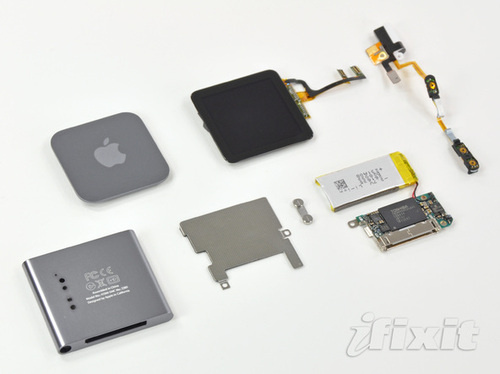 iSuppli decided to take a look at the individual parts to estimate how much the new iPod nano costs to build. Estimations show that it costs $43.73 to build a nano which makes it just less than half of what the first gen nano cost to build several years ago. The screen on the nano along with the touch features account for half of the costs. Manufacturing costs just $1.37 per unit. Its quite a step down in pricing compared to what it cost Apple to build each model a few years back. One thing to remember here is that we are dealing with estimates which means they might be a few dollars out on either side of the calculations although with such a difference in price, there will still be some sort of gap.